I made this artwork of a tree using scrunched up black paper to make the trunk. 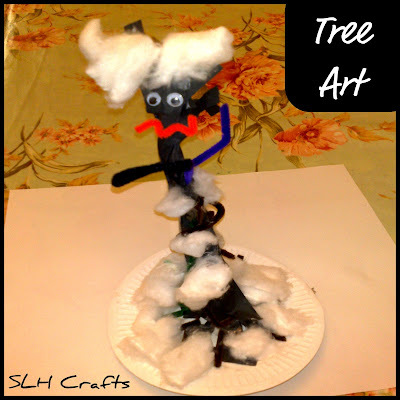 I used pipe cleaners to make some branches and to make the mouth. I used cotton wool to decorate the bottom of the tree and the top. I also added some googlie eyes. I stuck the tree onto a round paper plate to make it steady.